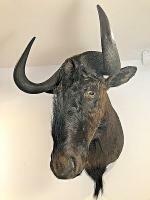 Here we have a superb antique great African Wildebeest. It is a shoulder mount with good hide and hair quality. 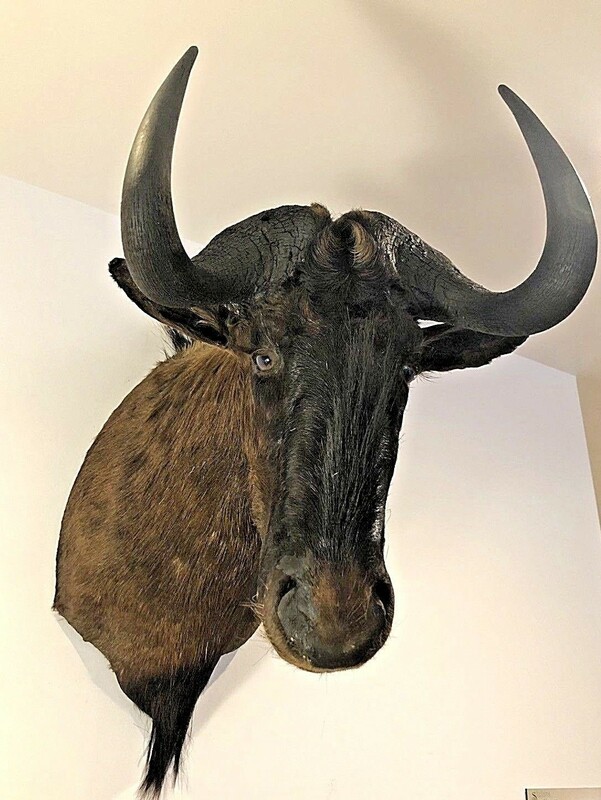 It is mounted in a natural pose with the head in an upright position looking slightly to the animals left side out into the room. It has fantastic taxidermy work, as well as beautiful hair. 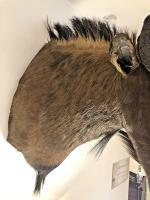 The hair is mainly brown with black streaks in and is beautiful and thick. 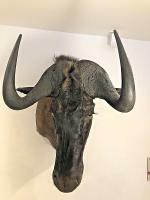 This is a truly stunning mount and is a very large one. It dates from about the 1940s and has a number on the back. There is a hanger already connected to the back of the mount to take the considerable weight.